Some retailers have their own policies and restrictions. Before shopping, please ensure you review the Special Terms of Aveda (above) for further information. Complete your purchase in one session and without leaving Aveda. Do not click on any bookmarks or advertising banners or links once you leave ANZ Bonus Points Mall. Free Shipping on orders over $100. Orders received by 11am, Monday to Friday, will be dispatched the same day for express delivery option and the following day for standard delivery. 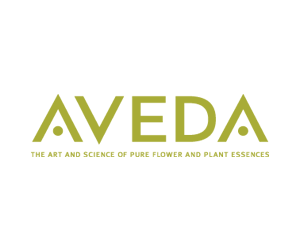 Aveda Online ships all orders from Sydney via Australia Post. This extensive delivery network is supported by one of the largest transport fleets in Australia. Delivery lead times will be based on location. Delivery areas further away from Sydney and rural addresses will result in longer lead times. All prices indicated for products available via the site are inclusive of GST (where applicable) at the current rates and are exclusive of delivery charges. We hope that you are delighted with your order. However, if for any reason you are not entirely satisfied, you may return any item in its original condition for a full refund within 14 working days from delivery. If you return items for reasons other than defects in the goods, or incomplete, or incorrect delivery, you will be required to arrange and pay for the return of the items to us. Please ensure you obtain a Proof of Postage when you return the goods to us.